There are a huge number of people in Debt Management Plans in the UK. Many of them have varied circumstances as to why they are in Debt Management over other solutions. Some may be solvent but to pay off their debts in full in accordance with the terms on which they borrowed the money in the first place they would have to dispose of some of their assets such as a house, and many of them are not prepared to do this. 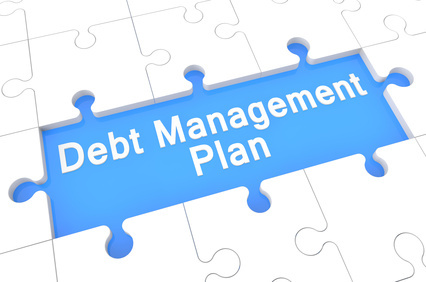 Others who are in Debt Management Plans are insolvent and simply cannot repay their debts even if they were to sell off any assets they might have. Such people should consider the merits of exiting their Debt Management Plan and instead entering into an IVA with their creditors. While Debt Management has many benefits, it is an informal arrangement with creditors. Many people in Debt Management Plans like this informality but the problem is that there is usually no debt write-off like in an IVA. While it is true that creditors may agree to suspend interest and penalties on debts for a period of time (indeed for very long periods of time in some cases), you are still responsible for repaying all monies borrowed in full. As a result of this, some Debt Management Plans can last for a very long time, much longer than your typical IVA. It would not be unusual to find some Plans lasting 10 years, even 20 years in some cases. Apart from the long duration of a Debt Management Plan compared to an IVA, people shouldn’t forget that being in a Debt Management could affect your credit rating even more adversely than if you were in an IVA given that in both cases you have defaulted on repaying creditors the monies you borrowed from them and because Debt Management lasts longer than an IVA in many cases, it follows that the damage to your credit rating is longer lasting and therefore more serious than if you were in an IVA. So if you are in a Debt Management Plan and insolvent, consider the merits of offering proposals for an IVA to your creditors. If you are not insolvent the question does not arise, since under the 1986 Insolvency Act you must be insolvent before you can enter an IVA, a financial solution available in England, Wales and Northern Ireland. In Scotland the broadly equivalent insolvency solution is a Trust Deed and in the Republic of Ireland the relatively new Debt Settlement Arrangement is quite similar to an IVA. Indeed under European Union Regulations, it might be possible for you to enter an IVA provided that you live in a member state of the European Union while having your ‘Centre of Main Interests’ or COMI in England, Wales or Northern Ireland. Official statistics on Debt Management are unavailable, but it is estimated that more than 700,000 people in the UK are currently in a Plan. Some of these are self administered but it is estimated that most are administered by Debt Management providers who specialise in debt management. If you are in a Debt Management Plan and want to investigate whether an IVA or indeed some other financial solution might be more appropriate for your circumstances, then get in touch with us at McCambridge Duffy. 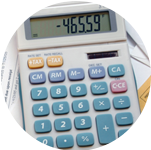 We can establish fairly quickly whether you are insolvent or not. If you are insolvent, then you should consider the full range of available financial solutions available to you, including petitioning for your own bankruptcy or entering an IVA. If you are not insolvent, it may be that you might better be able to address your financial problems by for example, re-mortgaging your property and using the released equity to clear your debts or reduce them to manageable levels. Your current debt management company may well have the expertise in house to review your circumstances and advise you appropriately. In any case, you may want a second opinion before you decide to stay in your current DMP. It cannot hurt to consider changing the status quo particularly because of the lengthy timescale of many debt management plans. We do not charge for giving initial advice in relation to your options. This entry was posted in Debt Advice, Debt Management, Debt Management Plans, Individual Voluntary Arrangements, IVA, IVAs, Personal Debt and tagged credit rating, Debt Management, Debt Management Plan, insolvent, iva, ivas. Bookmark the permalink. Client was struggling with payments of £600 per month to their creditors. We were able to reduce the payment to £240 per month. 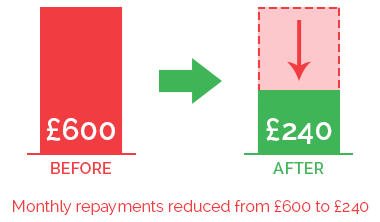 After 60 months of paying this reduced amount, any remaining debts will be written off and they will start their life free of debt.